Another one of my daliya recipes!! I just can't keep my hands off this whole-grain these days. Packed with fiber which is known to speed up sluggish metabolisms, it is a boon for people wanting to lose some weight. It is also known to help prevent Type 2 diabetes and cardiovascular ailments. While I used to cook daliya exclusively for my kid, now I end up eating half of it myself. It is great way to inculcate healthy eating habits among kids given the amount of junk that they eat. One just needs to cook it real soft while giving it to the younger kids else they might find hard to digest it. Cooking - Heat a frying pan. Add the ghee followed by the daliya and roast on low-medium flame till it turns reddish in colour. This takes about 5-6 mins. While the daliya is being cooked, bring the remaining milk to a boil and let it reduce. 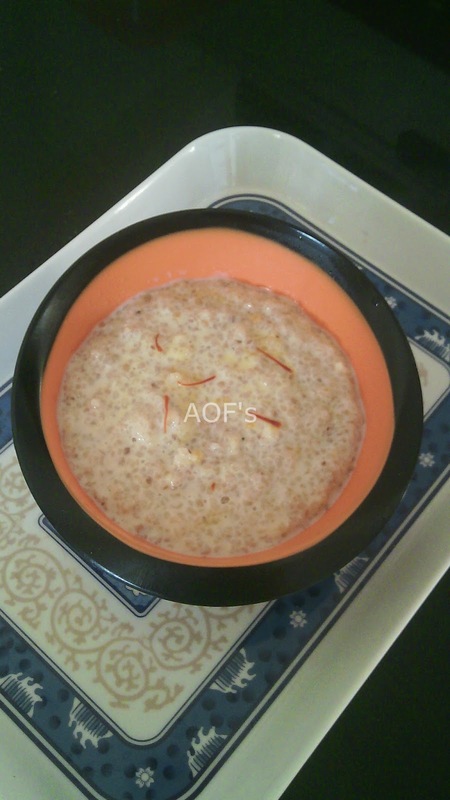 Add the daliya along with sugar, condensed milk and saffron strands to the milk. Boil for 3 mins. Remove from stove and serve hot or slightly chilled. Note - I have kept the consistency a little liquid so that it is easier for the kids to drink/swallow it up. It does thicken on cooling but one can cook it for few more minutes if still more thickness is desired. 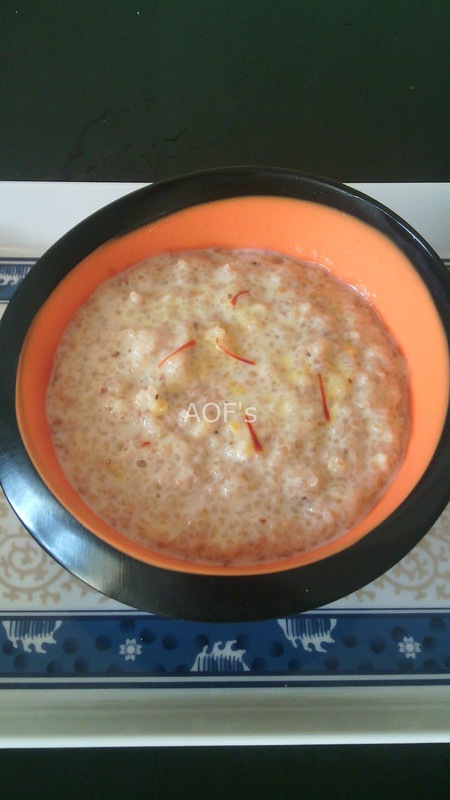 Healthy and lovely looking dhaliya kheer.